Though the government has a strict licensing amount for permanent Hawker licenses, people could still apply for a temporary one which could only last for at most one month. Compared to Taipei, Hong Kong government has less requirements such as salary and employment status for the permanent license application, but because of the scare quantity of license and uncertainty of the time point when the department will freeze the application, it’s much harder to get a Hawker license in Hong Kong than a vendor permit in Taipei. As we can see from the second chart above, there’s an increasing trend on the number of related convictions for offences within Hawkers. Those convictions include cases in which licensed Hawkers violate rules and unlicensed Hawkers do business illegally. 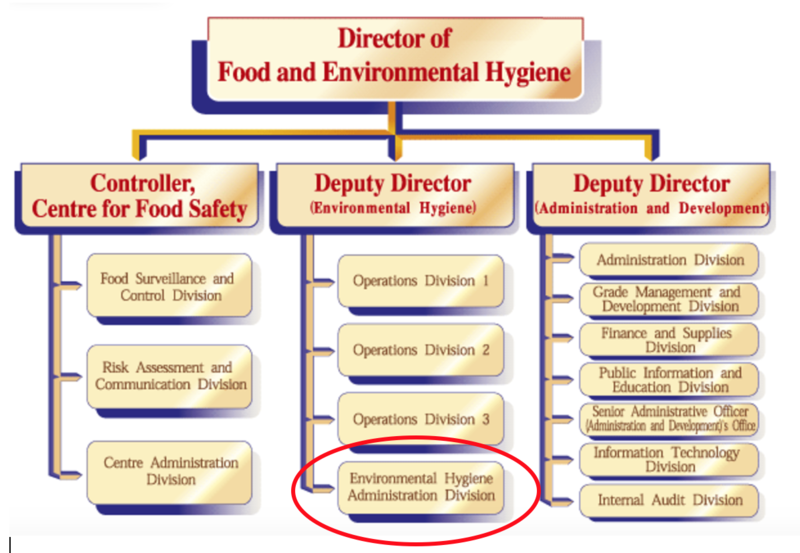 Hong Kong has Hawker Control Team (HCT) which is affiliated to the Food and Environment Hygiene Department to regulate Hawkers in specific areas. According to the annual reports, there are 191 teams of 2100 people on duty to regulate Hawkers in different areas in Hong Kong. Different from Taipei’s regulatory actions which are more tolerant, Hong Kong is practicing the regulations in an extremely strict way. Therefore, over years, there has been conflicts between Hawkers and HCT and police department – some of which even involves violence, such as the Fishball Revolution in Jan. 2016. In addition to the “Hawkers Regulation” 《小販規例》, HCT also refers to Public Health and Municipal Services Ordinance《公眾衞生及市政條例》 (Chapter 132), Summary Offences Ordinance《簡易程序治罪條例》(Chapter 228, Section 6 Street cries for buying or selling), Fixed Penalty (Public Cleanliness and Obstruction) Ordinance《定額罰款(公眾地方潔淨及阻礙)條例》(Chapter 570), and Food Business Regulation《食物業規例》. Hong Kong regulatory departments were sparing efforts to eliminate the number of Hawkers, especially those stalls which are near the place where there’s potential fire safety issues. The government started “Assistance Scheme for Hawkers in Fixed-pitch Hawker Areas” activity to support the Hawkers with funding to improve fire safety conditions by reimburse those hawkers relocation and restructuring expenses. However, they also have practiced “buying back” the licenses from hawkers by offering “an ex-gratia payment” (120,000 HKD) to those who volunteer to return their licenses to the government. Through year 2013 till now, there are lots of relocations happening due to safety concerns. Hong Kong VS Taipei: How hard is it to set up a cooked food night market? Mr. Li works for an NGO focusing on helping people with lower income. In this year, Mr. Li works with the local community to hold a temporary cooked food night market in Hong Kong, only with 14 stands and on three nights. The night market attracted lots of people to have a taste of traditional Hong Kong snacks such as fish balls, chicken feet, sweet tofu soup and etc. The NGO and many people in the community are thinking of to “reform” from the very bottom of the society – delivering their opinions to the government by real actions. For this night market event, they organized surveys and meetings and wrote plans within the community for 8 months, and then waited for the approval from 6 governmental departments for 2 months. Finally, it took them another 3 weeks to finalized the decision with parliament. “The government doesn’t have any policy and help for supporting the actions from the very basic people of the society,” said Dacheng Li. Xiaoli Liu, senator, who once traveled in Taipei, says that Taipei’s night market is very impressive. She thinks that food market is providing an opportunity to the grass-root class, and also a space for the voice from the basic society. She points out that it’s the fact that Hong Kong government enforces the rules strictly on New Year period and prohibits the hawker’s business in such a special holiday that makes people look into the issue seriously. “When regulating a society, there is a notion of ‘Social Safety Valve’, which means you cannot suppress the voice from the society. You need to give them some space so that it would be safe. It’s the same as Da Yu who combats the flood in ancient time, not to plug but to lead the water into the drain,” says Liu. She advocates the government to make a policy on hawker market. For now the government can have a temporary group which combines duties from different departments to reply to the applications from communities to set up temporary markets, to satisfy the need from the basic group of people in the society. Li is not optimistic about this proposal. He says that the government has realized the problem in 2015 and proposed to have outdoor hawker market and night market. However, it is never realized. The most the government does is to give an abstract instruction, but no clear policy provided for further development. He is now worried about the shift to the new government for next round. What has been instructed and promised now might have great change in the future. So he puts more expectations on the action from the society to try to set up more temporary markets. “I come from a hawker family. I make my life relying on the hawker market,” says Li at the market. Now he hopes other people from the society could make their life in through hawker market.